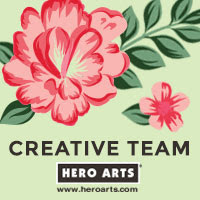 Hello there, today I have another Clearly Besotted teasers to share with you. 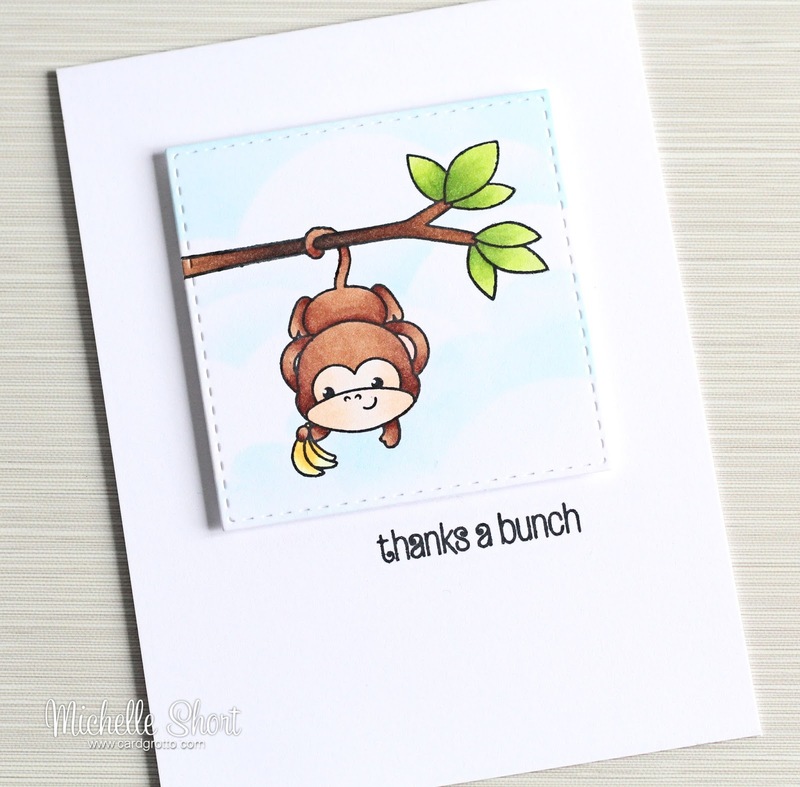 For my card today, I am using the new super cute Cheeky Monkey set. I have to say, it is adorable! I started off by cutting a piece of white cardstock using a SSS Stitched Square die. I then stamped monkey holding the bananas on to it. I made sure to take the ink off a part of his tail as I wanted that to be behind the branch but the other piece to be in front, so it looks like his tail is wrapped around. I then masked him off and stamped the branch. The branch was masked also so that I could add some clouds in the background. I took an ink dauber and some TH Tumbled Glass Distress Ink, as well as a piece of cardstock cut using a cloud die, and blended the ink on to the panel. Once the masks were removed, I coloured the monkey and branch using Copic Markers. 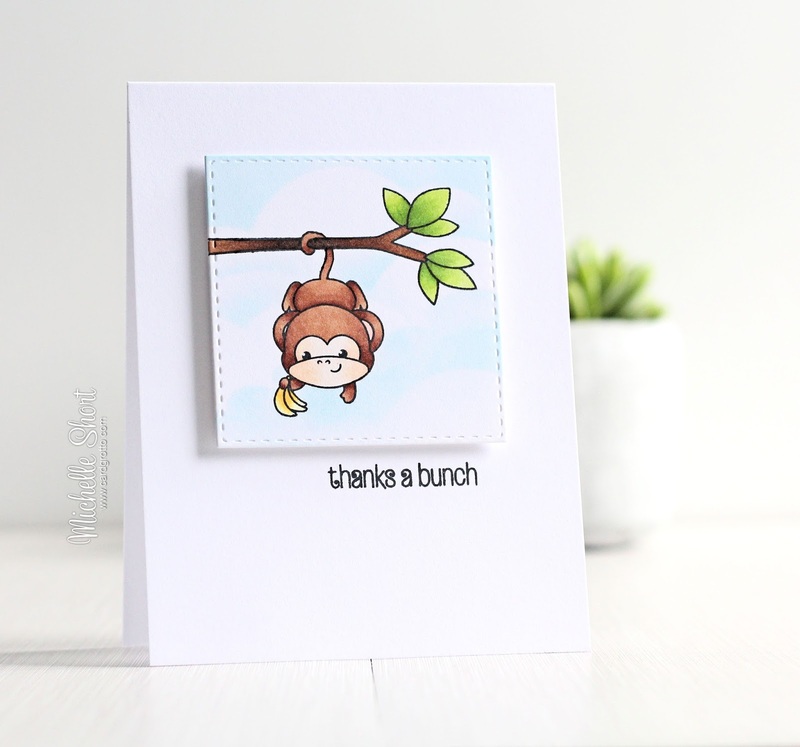 I took a white A2 card base and stamped the sentiment, also from the Cheeky Monkey set, on to it. The panel was then added with foam sheet. COPIC MARKERS - Monkey: E21, E30, E50. E23, E25, E27, E29. Bananas: Y11, Y15, Y17. Branch: E47, E49, E57, E59. YG03, YG23, YG17. If you happen to love monkey, and who doesn't? you will love this set! 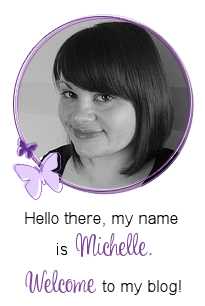 As always, please pop over to see Stephanie, who will have some amazing cards to share, along with links to all the other DT sharing today. Thanks so much for visiting me today. See you tomorrow! I know a few cheeky monkeys this would be perfect for!